Regardless of what neighborhood you call home here in Fort Wayne, most homeowners are concerned about security at some point. While some homeowners invest in top-of-the-line home security systems, there are other ways to protect your family without spending a significant amount of money. One way you can help prevent home break-ins is by reinforcing the door. You can install special door reinforcement plates to make forced entry very difficult, and the good news is that it only takes about an hour to complete this project. Step 1: Slide the reinforcement plate onto the door and insert the dead bolt along with the dead latch. They’ll be secured with a 1 1/2"-inch long stainless steel screws, and the plate will be secured to the door with screws from the kit. Step 2: The next step is to install jamb reinforcement hardware. You’ll extend the dead bolt slightly and close the door. Mark the center of the bolt on the edge of the doorjamb with a marker or pencil, then mark the center of the latch on the jamb. Step 3: Mark the latch and the dead bolt centers on the strike of the jamb, and remove the latch and strike plates. Be sure to keep the weatherstripping in place. You’ll then realign the reinforcement plate and drill a few mounting holes and add screws. Don’t over tighten. Step 4: If the deadbolt knockout lines up with the marketing of the door jamb, you can finish installing with the remaining screws. Since some burglars use the technique of kicking the center of the door to enter your home, reinforcing your door with these steps will make it much more difficult to accomplishment. · Using reinforced glass, such as tempered glass. This is more durable than traditional glass, and it’s one of the most cost effective options in terms of reinforcing glass. However, when compared to traditional glass window frames, you can expect to pay more for tempered. · Window locks are available for as little as $4 on Amazon. This adds extra security to sliding windows and prevents the pin from popping out. 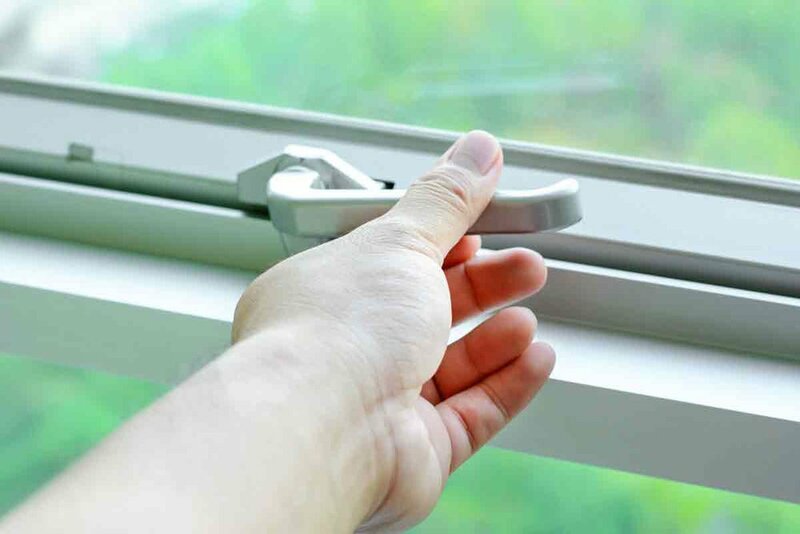 · You can also consider installing window alarms. When a window is opened or broken, the alarm will sound and send the burglar packing. Universal Windows Direct offers products that are engineered with energy efficiency and home security in mind. Learn more about how our products will improve the security of your home by contacting us today.